Ulani: Happy - Website of halatropicalflowers! 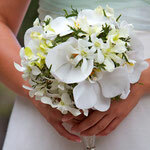 Love life and be happy. 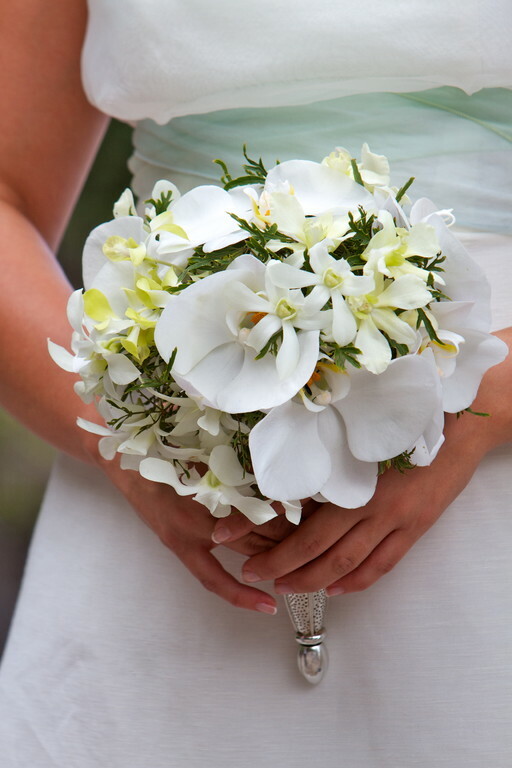 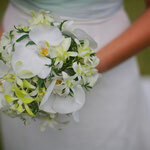 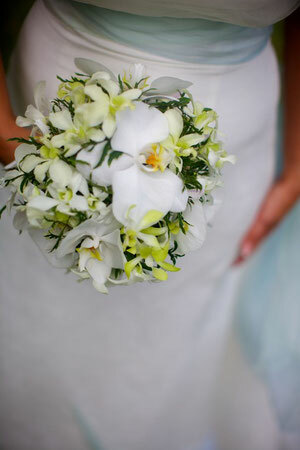 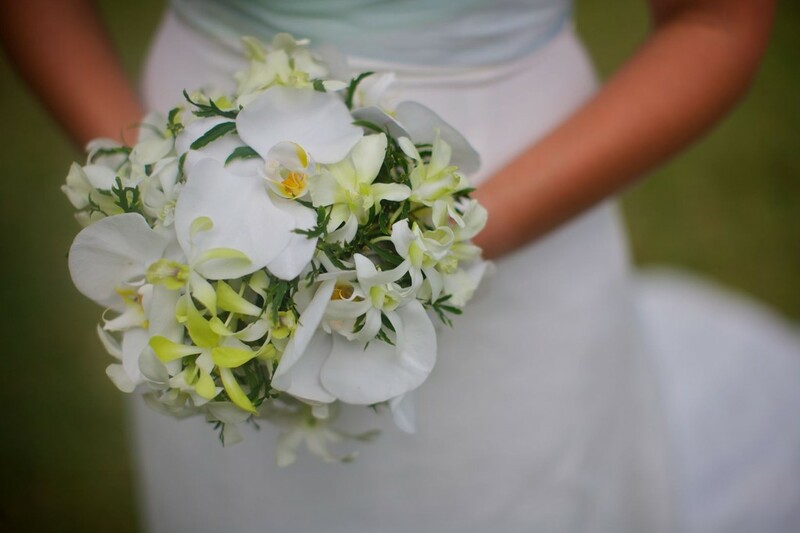 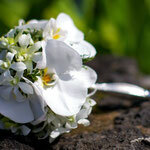 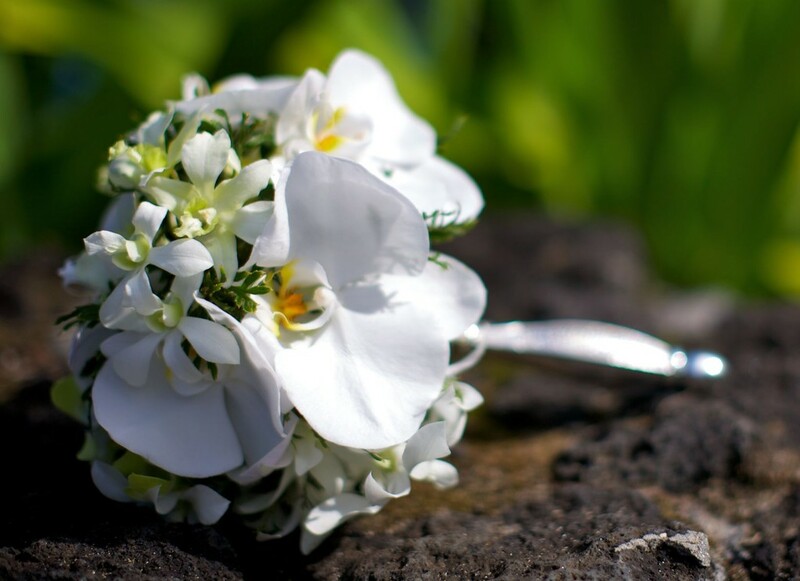 White phalenopsis orchids, jade and white Thai dendrobium orchids, Hawaiian ferns held in a silver bouquet holder.